January 8, 2019 @ 9:00-11:00 a.m.
January 10, 2019 @ 8:30 a.m.-12:00 p.m.
January 16, 2019 @ 8:00 a.m.- 12:00 p.m.
January 17, 2019 @ 8:00 a.m.- 1:00 p.m.
January 30, 2019 @ 7:00 a.m.-2:30 p.m.
Glenn County Fairgrounds, 221 E. Yolo St.
We’ve built this site for you, the growers, PCAs, managers and allied industries. Please let us know what you think so we can continue to improve it. Visit us at http://www.sacvalleyorchards.com/ to check it out! Bio: Dani Lightle began as an orchard systems farm advisor based in Glenn County in 2014. She completed her Ph.D. in entomology at Oregon State University where her research focused on small fruit cropping systems. 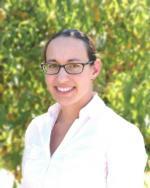 Her current research includes walnut and almond horticulture. *New* Copies of presentations from the 2016 Butte/Glenn Walnut Day can be downloaded here. News, Updates and Articles On Orchard Crops In The Northern California Area. Bio: Bill Krueger served as a Glenn County Horticulture Farm Advisor from 1980 until 2012, with a specialty in olives and integrated pest management. At Washington State University he earned his B.S. and Masters degrees in Horticulture. Working in all phases of crop production for almonds, prunes, walnuts and olives, Bill was involved in cooperative research looking for safer, less disruptive methods of pest and disease control. Bill's vast knowledge and expertise make him a valuable asset to the northern California area.